As a preferred partner, we have worked extensively with the University of Southampton working on the construction of five complex new build projects within the Grimshaw Architects designed Boldrewood Innovation Campus. The 4.3 hectare campus is the product of collaboration between the University and Lloyd’s Register of Shipping, and places the University at the forefront of maritime research. This collaboration ensures that students and researchers have access to real life case studies while Lloyd’s Register engineers have access to cutting edge research. Works included include deep basement works, installation of complex specialist equipment and facilities, CAT A fit-out works, subterranean works, site-wide infrastructure and extensive campus-wide landscaping, and construction of a multi-storey cark park. Phase 2 (incorporating the development of Build A: Lloyds Register Building and Building B: Maritime Centre for Excellence) was the recipient of a RIBA South Award 2016, recognising excellence in design. Development of a 30,500 m² commercial office building over five floors for Lloyds Registry. Constructed with half of the building over a deep basement and half as part of a podium linking Building A with Building B. Features include an open plan office environment, private offices, meeting spaces, rooms and suite, a main reception, café and restaurant, loading bay and associated back of house services. Housing the University’s Faculty of Engineering Sciences, the building covers 19,800m² over five floors. 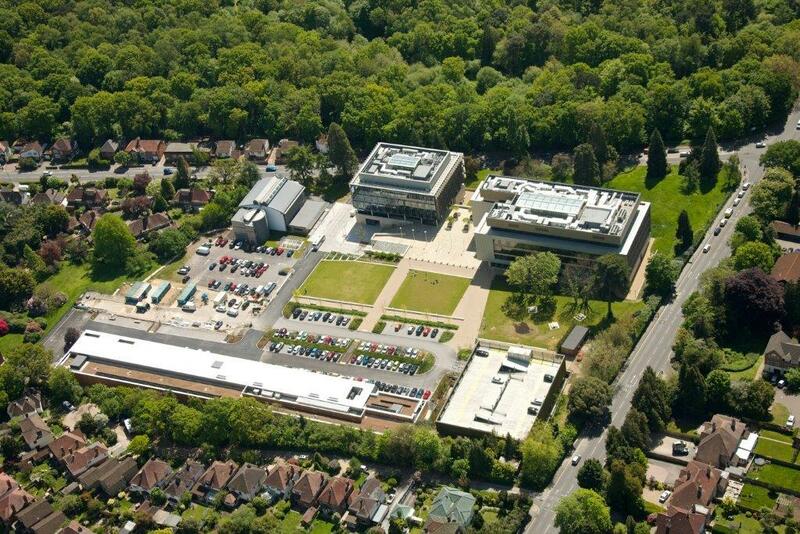 It includes teaching facilities, research space, laboratories and engineering workshops, and functions as an area for study and joint displays of University and Lloyds Registry research and learning. Under separate contract, the design and fit out of the Lloyds Register Building to Cat A specification across five floors. Works included the installation of security, AV, ICT infrastructure, loose and fixed furniture throughout to accommodate the 400-strong office staff. Development of a three-storey building, including complex works to create a full-storey basement to house a hydro-mechanics lab, anechoic wind chamber, 186 meter towing tank with subterranean teaching space, laboratories, workshops, and research garage. The facility enables the University and industry to develop research within the marine technology and industrial aerodynamics field. Due to the nature of research, location and length of the building, labs are located at ground level at the eastern end but 4m below ground at the western end. Consequently, significant elements of retaining structures were required. New works to the Annexe building included roofing repairs, external decorations and a new façade to the north elevation. Internally, works consisted of new audio visual installation, new ICT network, re-configuration of ground floor layout, upgrading M&E services, new flooring and ceilings, plus re-decoration work throughout. Provision of two new build interconnecting blocks, circa 5,453m² over four floors, to provide office and highly specialised laboratory/workshop accommodation for academic staff, research staff and students. Crucially the building will accommodate an “Actidyn” lab centrifuge. A high performance, high precision specialist piece of experimental engineering equipment – only one is installed per year world-wide.